Many U.S. Citizens and lawful permanent residents of the U.S. (green card holders) move to another country and forget or choose not to file a tax return in the U.S. But be warned: The U.S. requires you to file a tax return accounting for your worldwide taxable income – and the statute of limitations never runs out. In many cases, you may have few or no U.S. taxes to pay, thanks to exclusions and deductions that you may qualify for as an expatriate. But you definitely are required to file if you are a U.S. citizen or resident alien. Not filing can create major issues. For instance, if you live abroad for 10 years and then return to the United States, the penalties and interest you’ve accrued may be more than the actual tax. The U.S. Internal Revenue Service (IRS) is working with the State Department and with the Immigration and Naturalization Service (INS) to improve compliance with the tax return requirement. Also, remember if you have W-2 income withholding tax or if you have income from self-employment then you have to file. Even when you’re required to file a return, you may be able to reduce or eliminate your U.S. taxes, thanks to exclusions and deductions, and the tax credit you get for any foreign taxes you’ve paid. The housing exclusion and deduction are living expenses above $39.16 per day for 2017. The Foreign Earned Income Exclusion is $102,100 for 2017 and $104,100 for 2018. Fortunately, there are also deductions from gross income that you can take. See section 911 of the tax code for these. You can also deduct foreign housing costs that you paid, or that were paid on your behalf, which are above the base amount. You need to file these items on Form 2555 or Form 2555 EZ. According to the IRS, it’s important to file these forms, even if you’ve earned less than the amount you’re allowed to exclude. U.S. citizens and long-term permanent residents can also take a credit for income taxes paid to a foreign government. This credit is explained in section 901 of the income tax code. You report the tax credit on Form 1116. Almost half of those filing non-resident tax returns show no tax liability because of these two codes, Sections 901 and 911. If you’re self-employed and no foreign social security is being withheld from your earnings, you must file a Schedule C with you U.S. tax return and pay U.S. self-employment tax on your net earnings (that is, after deduction your expenses). The Self-employment tax is 15.3%. It is not reduced by the foreign earned income exclusion or by foreign tax credits. If you own more than a 10% ownership in a foreign corporation, you are required to file Form 5471 reporting that ownership interest. If the corporation is making a profit, and if it is a “controlled foreign corporation,” you could owe U.S. tax on certain types of income within the corporation. If you are a beneficiary or a trustee of a foreign trust, file Form 3520 & 3520A, or if you have a bank account(s) with an aggregate balance over $10,000 at any time during the year, you must also file a FinCEN Form 114 (formerly form TD F 90-22.1). 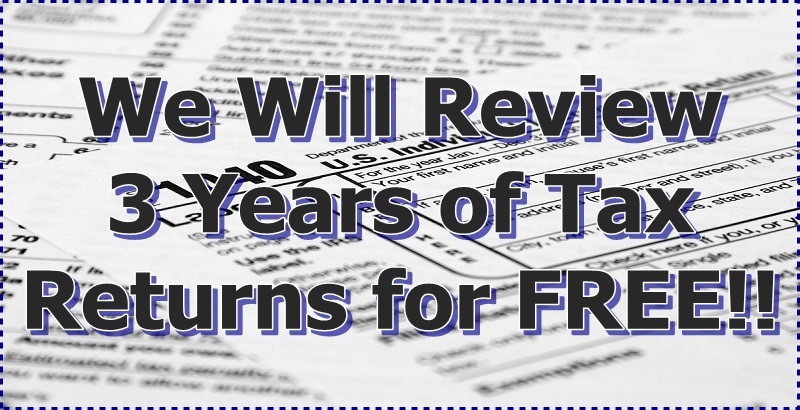 You can be fined up to $10,000 or more for not filing any of these forms – and since there is no statute of limitations, the fines can be levied many years from now when the IRS and many other countries tax departments finally start sharing information. You can also be liable for individual state income taxes. There is a special tax on former citizens and long-term permanent residents whose main reason for moving to a foreign country is to avoid U.S. Income tax or estate and gift taxes. Section 877 imposes this tax regardless of your reason for changing citizenship and moving abroad. You’re subject to this tax if you’re an expatriate with a net worth of $500,000 or more (adjusted for inflation), and if your average annual net income tax liability for the five years before you left the U.S. was $100,000 or more. All expatriates who are subject to this tax under the code have to submit a statement of residence and citizenship and a state of assets and liabilities. If you fall into this category, the IRS automatically assumes that you’ve changed your citizenship and/or moved abroad to avoid taxes in the U.S. There is only a small class of high net worth expatriates who are not assumed to have moved or changed citizenship for tax reasons. This class is also described in Code Section 877. If you think Section 877 may affect you, it’s worth checking to see if you fall into this group. Expatriates who renounced U.S. citizenship before they reached age 18 ½. The Internal Revenue Service has begun many programs to identify non-filers and to improve compliance. In the Middle East alone, the number of returns filed has increased by 51% due to compliance programs. The IRS has created Form 2555EZ to simplify filing. It also revised Publication 593 – tax highlights for U.S. citizens and residents going abroad – to encourage taxpayers to file. In addition, Publication 519 – the U.S. Tax Guide for Aliens – and the instructions to Form 1040 NR (non-resident) make former citizens and long-term resident aliens aware of their potential tax liability under Section 877. The IRS has also put a number of programs in place to identify non-filers. If you are an expatriate and aren’t filing your U.S. taxes, keep in mind that eventually you’ll be identified as a non-filer. And like elephants, the IRS never forgets. Do you have a specific tax question? Your research is most important. U.S. Taxes While Living Abroad F.A.Q. While it might not answer every question you have, it is a good place to start. There's an estimated 80 million baby boomers retiring in the coming years. ExpatTaxExpert.net is a division of Glazer & Associates, Inc. Copyright © ExpatTaxExpert.net. All rights reserved.